Who says only kids can show the love on Valentine’s Day? 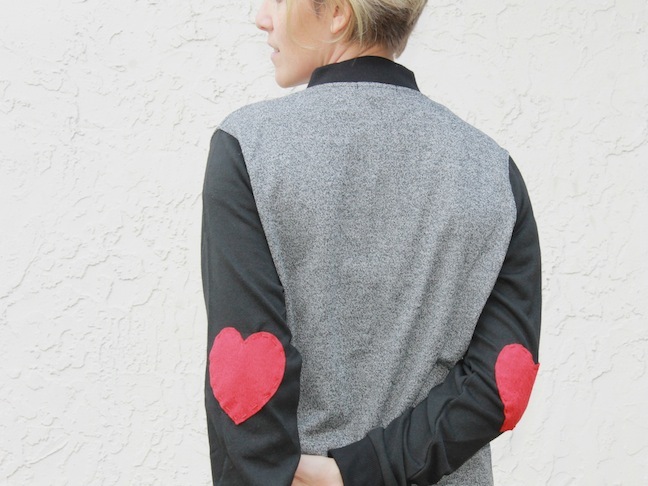 Give an old jacket, long sleeve shirt, sweater (or even leggings) a fresh start by simply adding felt hearts to the elbows (or knees). 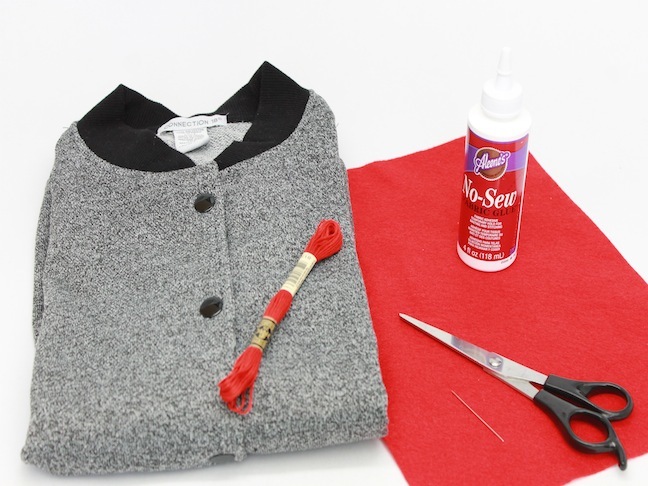 Here is how you make your own felt heart elbow patches. It literally takes 15-20 minutes. 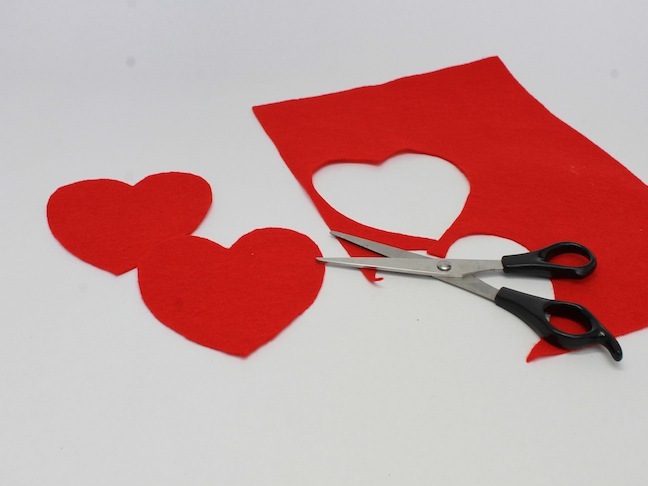 Step 1: Cut hearts out of your felt. 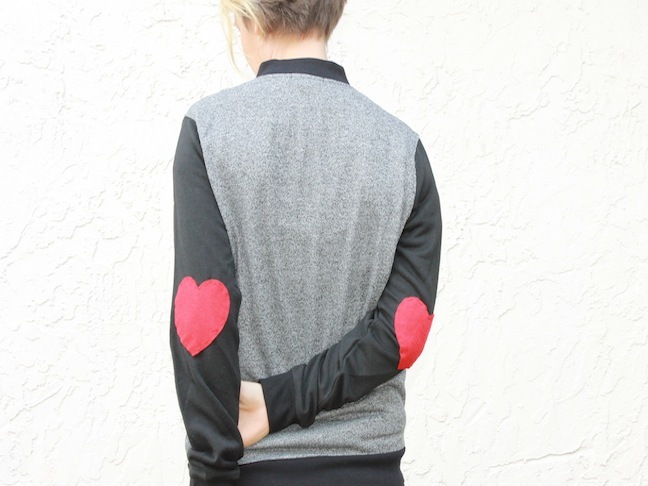 Step 2: Glue the felt hearts onto the elbows of your jacket. 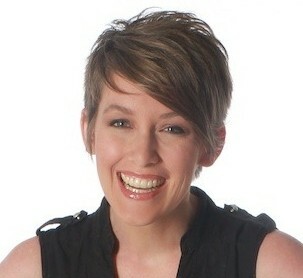 I had my husband help me place them directly on my elbows as I wore it. Let the glue dry. 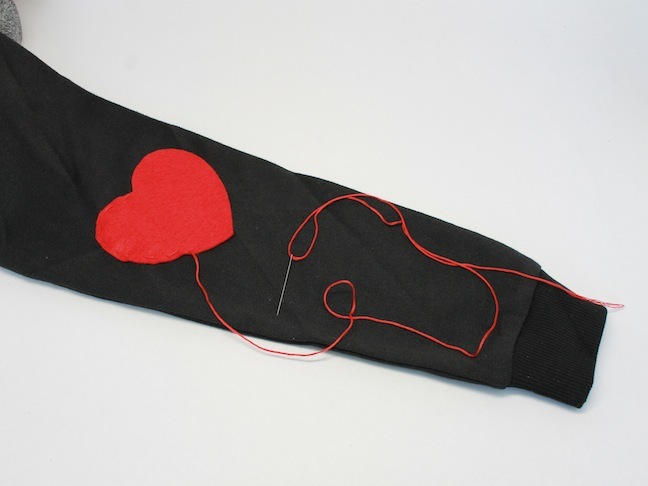 Step 3: Loosely sew the hearts in place. This is to make sure they stay in place during washing, but it’s also a cute embellishment.